A photo of Moses Stern, obtained exclusively by NBC 4 New York. 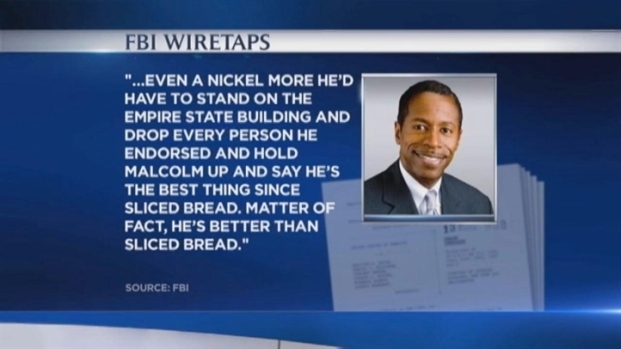 The FBI informant at the center of the mayoral race bribe plot is himself accused of having orchestrated a $100 million fraudulent real estate deal, NBC 4 New York has learned. Several sources said real estate developer Moses Stern, 40, of Monsey, N.Y., is the man who helped the FBI tape several of the politicians linked to Democratic State Sen. Malcolm Smith's efforts to get on the Republican ballot. NBC 4 New York has obtained the first photo of Stern in the case, which shows him seated during a civil deposition linked to the alleged fraud scheme. A civil court ruling shows Stern owes more than $100 million to Citigroup and other companies. Stern and his lawyer could not be reached for comment Wednesday. The news that two elected officials and Republican Party leaders have been charged in a sweeping corruption scheme is likely to affect the mayor's race. The bipartisan scandal is affecting both Republicans and Democrats. Melisso Russo reports. Stern got into financial trouble while running First Republic Realty Group. A spokesman for Citigroup confirmed Stern owes them more than $100 million; an attorney for a second company, Amusement Industry, said Stern owes them $13 million. “We’re gratified to hear the Mr. Stern is cooperating with law enforcement on this important corruption investigation and hope that as part of his deal, the government will insist that he come clean about the 2007 real estate fraud as well,” said Craig Missakian, general counsel for Amusement Industry and a former federal prosecutor. Spokesmen for the FBI and U.S. Attorney Preet Bharara declined to confirm whether Stern is the informant. Court papers said the informant pleaded guilty on March 11 but details remain sealed. On Tuesday, the FBI arrested Smith, along with Bronx Republican Party Chairman Jay Savino, Queens Vice Chairman Vincent Tabone, Councilman Daniel Halloran, and Spring Valley Mayor Noramie Jasmin and Deputy Mayor Joseph Desmaret. Defense attorneys said their clients deny wrongdoing and urged the public to withhold judgment. 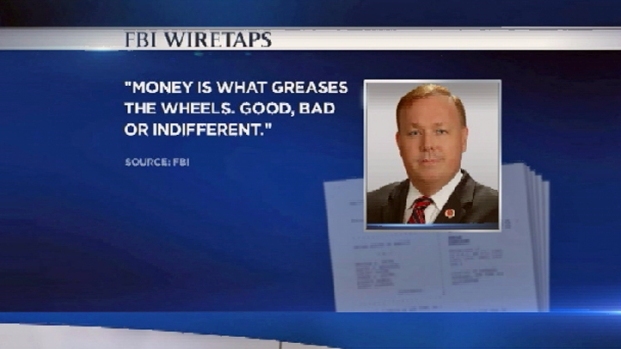 All are accused of taking cash payoffs from an undercover FBI agent and Stern, the informant. Smith allegedly asked for cash to be paid to Republican leaders so he could join the mayor’s race as a Republican. Because he is a registered Democrat, Smith needed support from three Republican county chairmen to get on the ballot. Democratic State Sen. Malcolm Smith, Republican City Councilman Dan Halloran and four others were arrested by the FBI Tuesday morning. Jonathan Dienst reports. Meanwhile, Jasmin held a news conference Wednesday vowing to “restore my good name." Jasmin and Desmaret are accused of taking payoffs to vote for a development deal involving the FBI informant. Smith allegedly promised to funnel hundreds of thousands of tax dollars to the project in exchange for the so-called developer making the payoffs. During the civil case, Stern took the Fifth Amendment on every question he was asked in March 2012, except when he was asked his name, attorney Missakian said. He added the federal judge in the case found that there was “overwhelming evidence” that Stern had committed fraud in connection with his 2007 real estate deals with Citigroup.